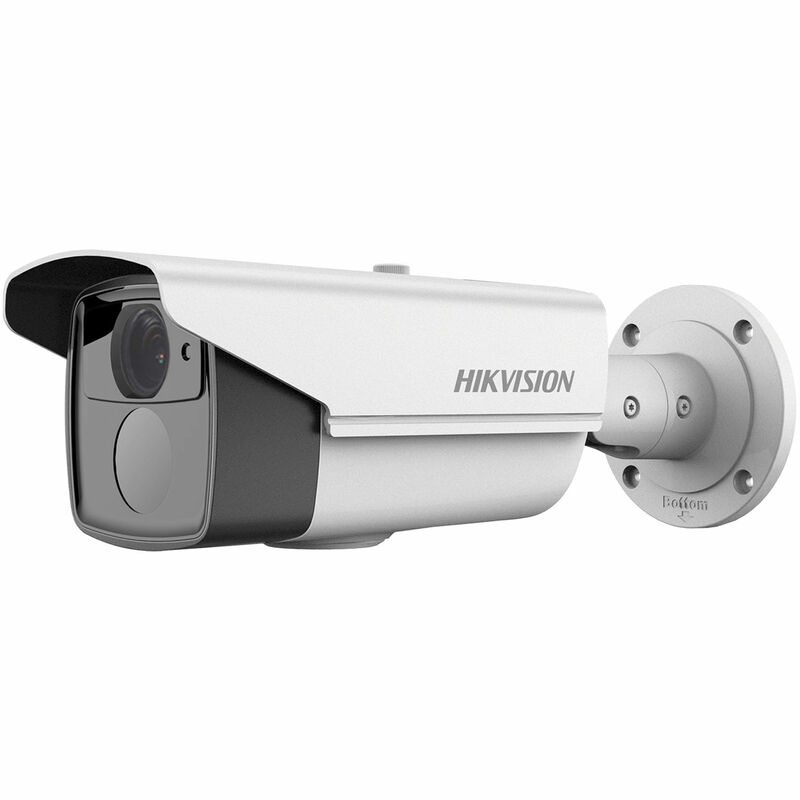 The TurboHD Series 2.1MP HD-TVI Outdoor Bullet Camera from Hikvision is a versatile surveillance camera that can be used in a myriad of security solutions. The camera features HD-TVI technology, providing you with high-definition video over coaxial cables. This allows you to upgrade an existing surveillance setup while still keeping your BNC wiring. With a 1/3" progressive-scan CMOS sensor, the camera features 1920 x 1080 high-quality video resolution, and it uses a 2.8-12mm varifocal lens for a 92° to 32° horizontal field of view. In addition, you can easily pan, tilt, and zoom the camera for choosing the exact view area you would like to monitor. There are up to four programmable motion detection zones and eight programmable privacy masking areas for personalizing the camera to your specific requirements. Backlight compensation, digital noise reduction, automatic gain composure, and adjustable white balance enhancements assist in providing clear video footage, regardless of changing light levels. Furthermore, the onscreen display menu allows you to make quick changes to the camera's light settings for increasing image sharpness and brightness. Box Dimensions (LxWxH) 15.1 x 6.5 x 6.1"
I can use this camera with a regular analog DVR? Yes, this comes with two outputs. HD and CVBS (standard Analog).